For Love or Money? Collaboration between Amateur and Professional Theatre is our new grant, (2016-2017) and it analyses the contexts in which the two sectors come together. We learnt that the boundaries between amateur and professional theatre are quite porous, and we wanted to investigate how the two sectors work together. This research both responds to the contemporary 'amateur turn' in the arts, and recognises that amateur theatre is a form of cultural participation that has sustained the interest of many people over decades. It will test the assumption there is little contact between professional and amateur theatre-makers and will analyse why, how and when amateur dramatic companies and professional theatre-makers work together. There are three strands to this research. In one strand we are working with the amateur companies who took part in the Royal Shakespeare Company's Open Stages programme and the RSC to learn more about the artistic and cultural legacies of the programme. 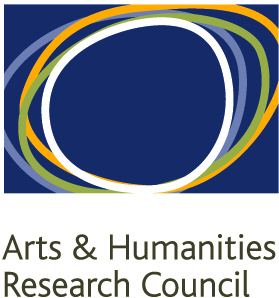 Second, the research will investigate the work of professional theatre-makers employed by amateur theatre companies.Amateur theatre companies often hire professional musicians, musical directors and choreographers to work with them on their productions. The research will analyse how the work of trained and professional theatre-makers shapes and defines the repertoire, influences production values and impacts on the culture of amateur theatre in national festivals and local productions. Third, we will investigate the social and economic impact of amateur theatre on professional theatres. This strand of the research will investigate how audiences for amateur theatre contribute to the economic viability of regional theatres, many of whom have struggled to survive in an area of low funding. It will analyse what, if anything, can be learnt from the successful operations of building-based amateur theatres. Please get in touch if you can help us with these there areas of research.